Most knowledgeable experts in the industry, offering solutions to actually seal your home, not just trapping. Best reviewed company focused only on wildlife exclusion. Lowest call-back rates in the industry, laser focused on solving the actual problem vs. trapping for months. 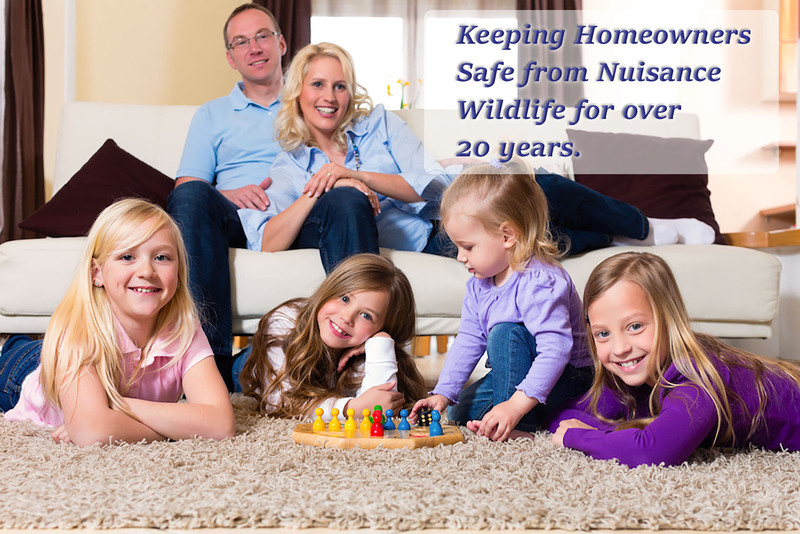 Wildlife generally enter your home looking for shelter, not food. This is why you should stay away from any company who suggests they start trapping first. While the targeted animal can still go in/out of the structure for what they consider to be safe food & water, you will simply educate them to the danger of traps and prolong the process. Once we seal all entry points and can deal with a finite number of animals still inside with an appropriate trapping program, once they have no other option for food, you don’t want them to already be educated and avoid the traps and start running around your house. It’s important once the home is sealed, to maintain the structure so the exclusion work stays in-tact and no new entry points are created. We educate our customers, point out areas of concern, and offer solutions like gutters and drainage solutions to help keep new damage to a minimum. Once the animals are removed, we offer a variety of cleanup and decontamination solutions. We’ve also trained the Home Inspector’s Association on what to look for in homes to identify previous rodent activity, so we also offer services to help reduce the red-flags that could show up in inspection reports. While we offer a transferable warranty, once you’ve taken care of the problem, you don’t want a new homeowner to dictate what other costly remediation you need to do, like necessarily replacing all of the attic / crawlspace insulation. To schedule a free inspection and receive a custom, detailed report from the experts in the industry, give us a call now. You don’t go to a general doctor (pest control company) to diagnose a heart condition, you go to a specialist… call the experts to actually solve your problem.